The Chinese researcher behind a controversial experiment to produce gene-edited children took the stage at a Hong Kong conference to explain his work, and acknowledged that the international outcry has brought a halt to the experiment. 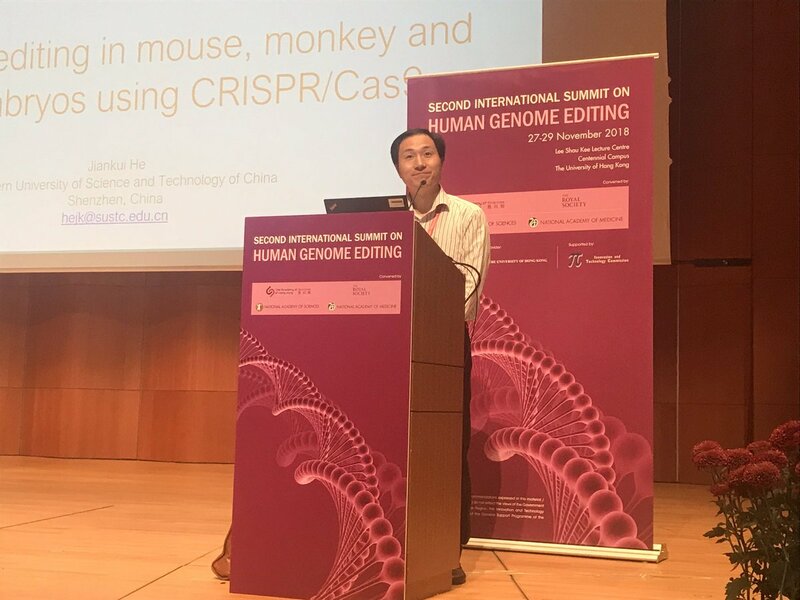 “The clinical trial was paused due to the current situation,” He Jiankui, a biomedical researcher at the Southern University of Science and Technology in Shenzhen, said today at the Second International Summit on Human Genome Editing. The university says He (pronounced “Heh”) has been on unpaid leave since January, and today Chinese news outlets reported that his lab on campus has been shut down and sealed off for investigation. This entry was posted in GeekWire and tagged China, CRISPR, Ethics, Genetics, He Jiankui, Health, Medicine, Science. Bookmark the permalink.